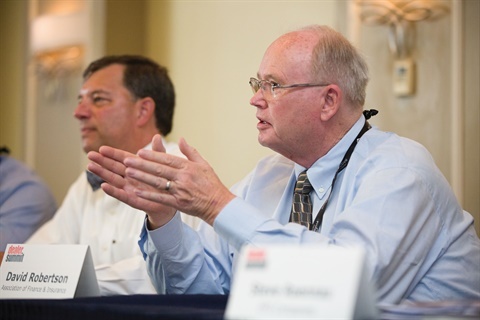 With moderator Robert Harkins looking on, Mosaic Compliance Services’ Jim Ganther offered his take on what the November elections could mean to the men and women manning the F&I office. If a Democrat is elected president, he said, the Consumer Financial Protection Bureau’s fair lending crackdown could intensify. The questions were unscripted, their answers unplugged. This was the scene inside the Sheraton Tampa Riverwalk Hotel during the eighth hour of last month’s F&I Think Tank in Tampa, Fla., where about 65 F&I pros and dealership executives, agents and industry insiders convened to hear six compliance gurus bust the industry’s most prevailing compliance myths. The panel tackled the 300% Rule — “Offer 100% of your products to 100% of your customers 100% of the time” — addressed the use of backup contracts on spot deliveries, and cleared up confusion about the use of F&I menus. They also debated a range of topics, from the industry’s response to the Consumer Financial Protection Bureau (CFPB)’s attack on rate participation to what the November elections could mean to the men and women manning the F&I office. Moderated by American Guardian Warranty Services’ Robert Harkins, the panel included Ganther as well as Tom Hudson, a partner with the law firm of Hudson Cook LLP; Steve Roennau, vice president of EFG Companies; David Robertson, executive director of the Association of Finance & Insurance Professionals (AFIP); and Michael Tuno, president of ARMD Resource Group LLC. “Every time I’m on a panel with Tom Hudson, I feel like a rabbi who’s trying to instruct Moses,” Ganther quipped when Hudson disagreed with his contention that the Truth in Lending Act (TILA) doesn’t directly address the use of signed backup contracts on spot deliveries. The question, posed by F&I Think Tank participant Teasha McMillion, received a chorus of “No”s from the panel of compliance experts. But they acknowledged that how a state defines when a contract is consummated and how it is written will determine the regulatory response. Hudson added plaintiffs’ attorneys to that list of variables. In response to a question about the Adverse Action Notice requirement, Robertson advised attendees to issue one whenever they are in doubt. He added that notices are absolutely necessary if the dealership decides not to submit a deal because the customer’s credit app shows too little income or the credit report shows too low of a score, but discouraged attendees from engaging in credit decisions. David Robertson, executive director of the Association of Finance & Insurance Professionals, clarified misconceptions regarding Adverse Action Notices. He said the requirement comes into play when a dealership can’t deliver a deal on the customer’s terms. He also discouraged attendees from engaging in credit decisions, telling them to let finance sources pass on the deal. When pressed to clarify whether he was advocating that every customer be sent a notice, Robertson responded with an example. “So a customer comes in requesting zero down. We get an approval for $1,500 down and the customer says, ‘No, I don’t have the $1,500,’ and walks. They still need to receive the [notice], because we weren’t able to deliver on the customer’s request and terms. “So Adverse Action is all about getting a deal done on a customer’s terms,” he added. Heads shook in unison when an audience member offered up another scenario: After being told by the dealership’s general manager there was “no way in hell” he could get financed because he had no money down and no proof of income, she said, the customer was able to secure vehicle financing at a dealership down the street. No credit was pulled and no Adverse Action Notice was sent. F&I trainer Gerry Gould, however, questioned whether the solution, which the CFPB has yet to recognize, is doing more harm than good. He said some dealerships are using the program wrong or to mask questionable rate-quoting practices. He called on the NADA to include better instructions on the correct use of its program. The panel made quick work of the compliance myth that says F&I offices are operating outside the law if they don’t use a menu that displays the base payment. “So there’s no law that says you have to use a menu. 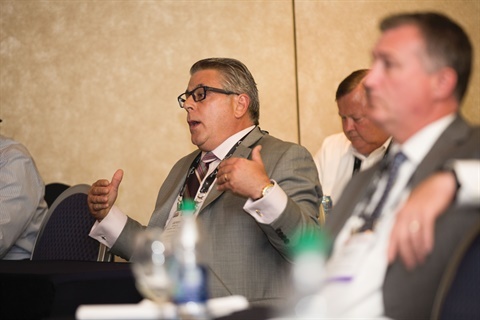 There are states like California, which say you have to have a disclosure for base payment prior to consummation,” EFG’s Roennau said, describing the consistent use of a menu-based process as “a very good best practice” because it documents the F&I sales process. The 300% Rule required a bit more discussion. 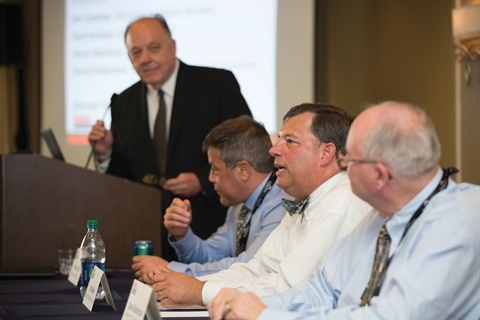 The panel agreed the supposed rule originated as a sales strategy to get F&I managers to sell all products, but they noted that some state laws have made it more than a best practice. A law in Louisiana, one attendee pointed out, requires that dealers present GAP as an option to all customers. She said that became a requirement following Hurricane Katrina in 2005. 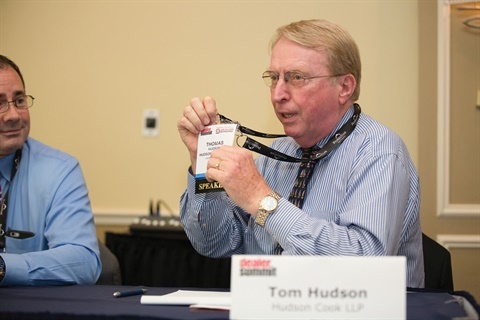 Hudson Cook LLP’s Tom Hudson was busy throughout the 55-minute session, offering his take on why dealerships should not use backup contracts on spot deliveries and explaining why he thinks the U.S. Department of Justice is the toughest cop on the fair lending beat. He also explained why F&I pros should not use the term “loan” to describe what happens in the indirect financing channel. The distinction is critical given the CFPB’s fair lending concerns, he said, as using the term “loan” to describe a finance source buying a retail installment contract from a dealer backs an argument the CFPB has made for the elimination of the dealer exemption. Surprisingly, Hudson declined to give the bureau the distinction of toughest cop on the fair lending beat. He also refused to give that title to the FTC, which announced in January plans to interview up to 80 recent car buyers about their dealership experience. Ganther added that it was his belief that the FTC let the “CFPB get way ahead of the curve” to see if the Supreme Court would uphold the use of disparate impact in a Texas fair housing case, which it did last July. “I think it’s the Justice Department,” Hudson said. It was the DOJ that gave the industry its response to the CFPB’s fair lending claims: the NADA Fair Credit Compliance Policy & Program. Based on a fair-credit risk-mitigation model the DOJ developed in 2007 to resolve two dealer investigations, the program calls for dealers to document legitimate business reasons for discounting interest rates from markup caps set by finance sources or state regulations. “Like playing the game Operation when you were a kid, well, you’ve got a little bit more room before the tweezers buzz the sound,” he added.